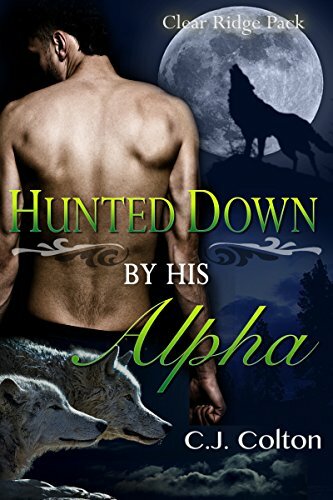 Five years ago his mate was taken from him and Hayden, now an alpha of the Clear Ridge Pack, has never stopped searching for the other half of his soul. Tobias can’t remember his past, but he knows something is coming for him. He’s been having the shaving the same dream for the last month and each night he falls asleep only to wake sweat-drenched and heart pounding after a narrow escape from the predator chasing him. When dreams begin to intrude into reality Tobias finds himself marked, mated and pregnant in a world that can’t possibly be real, but when what began five years ago returns ready to finish what it started, Tobias realizes that the only thing he can do is put his trust in the shifter who’s been hunting him down and who he’s beginning to fall in love with. David is a broken alpha. When his mate was kidnapped years ago during the war, his life turned upside down. David knew in his heart that his lover was dead. Now a cold-hearted and pessimistic man, the only thing David has are his close friends in the pack. But during a heated fight between Indigo Mountain and Scarlet Ridge, the alpha of the enemy pack drops a bombshell on David. His mate is still alive. The catch? To see his beloved again, David must join the enemy - and that’s exactly what he does. David will do anything to see his mate again. But when they finally reunite, David’s heart shatters. Alpha’s Choice is a 33k word second-chance story with steamy scenes, a HEA, and no cliffhangers. It is the fourth book in the Indigo Mountain pack series and can be read as a standalone, but is best enjoyed in series order.